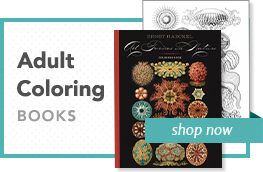 Before impressionist painter Claude Monet painted the famous flowers and water lilies from his garden, he created the paintings in this coloring book. These paintings, usually filled with people (often his family or friends) rather than flowers, are from Monet’s early years. 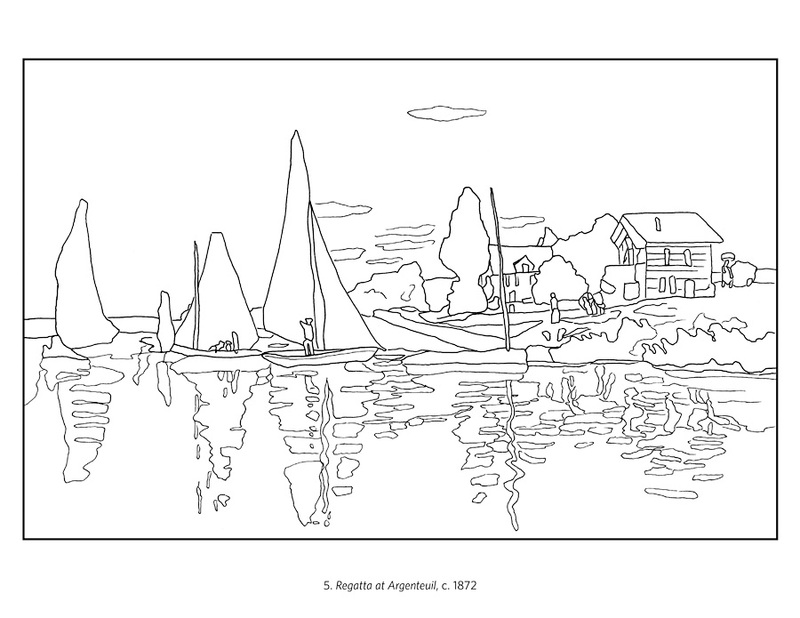 Monet helped found the impressionist movement, which used quick brush strokes to capture fleeting moments in time. But this didn’t happen right away. 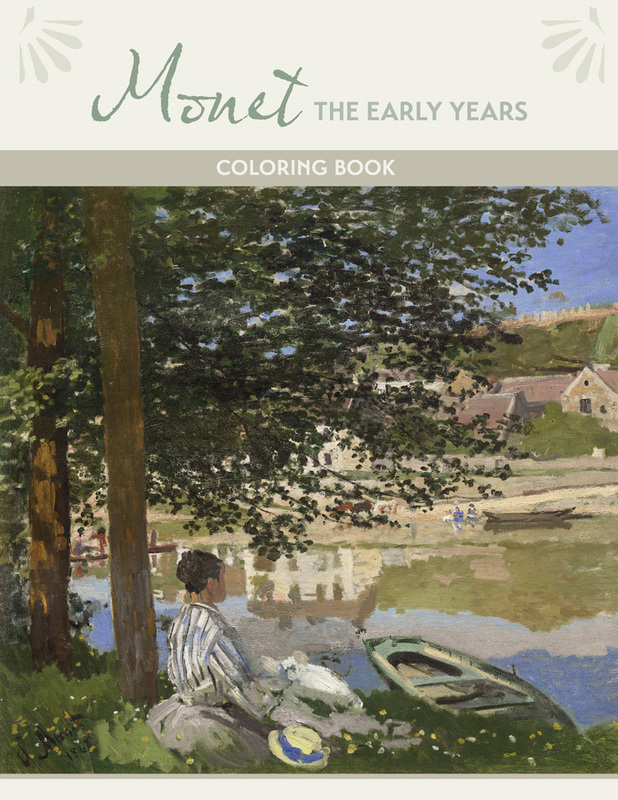 An artist’s style tends to grow and change over the years, and these paintings show us how Monet developed his art, how he became the revolutionary artist known around the world today. 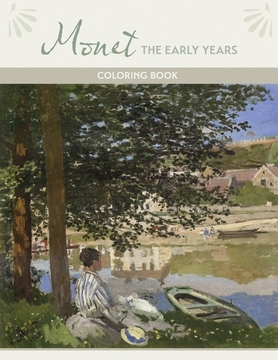 A selection of paintings from the exhibition Monet: The Early Years are shown in this coloring book. 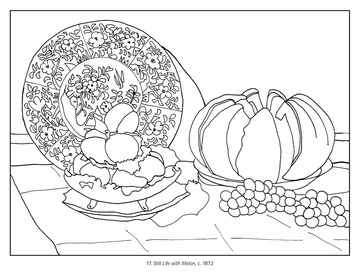 His original artworks are shown on the insides of the front and back cover. 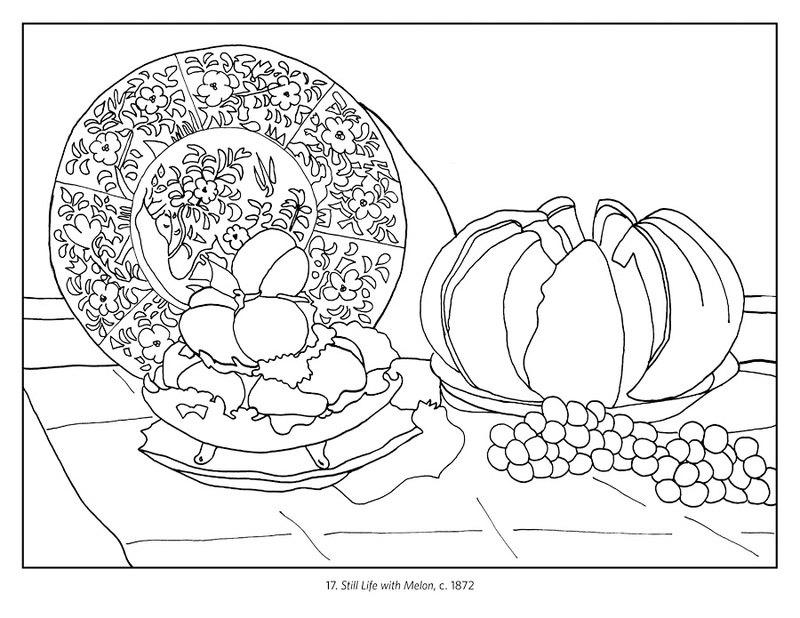 You can use those images for reference, or you can color the images based on your own impressions. 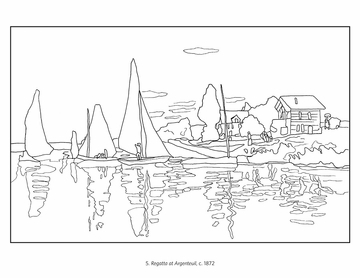 Feel free to use the extra pages we’ve included at the back to experiment and develop your own signature style.